The Mossberg 500 and 590 are both high-quality pump action shotguns which can shoot quickly and do a lot of damage to any target. However, some shooters like to have a special sighting device attached to their shotgun so they can have better accuracy while aiming at their target. One of the more popular sighting accessories for the Mossberg 500 and 590 is the TRUGLO Glo-Dot II Shotgun sight. This particular sight has a fiber optic rod that produces a very bright dot which can be seen clearly in the daytime, morning or evening. This rod aligns with the front sight bead to give you the perfect opportunity to aim at any target during the day or evening. The installation of the sight will be a piece of cake. You won’t need to go to a gunsmith to install this light gathering sight because it can be installed by just snapping it onto the back of the factory-made front bead that is located on the barrel. The base has a notch which relies on the front bead to find the sight along the bore axis properly. 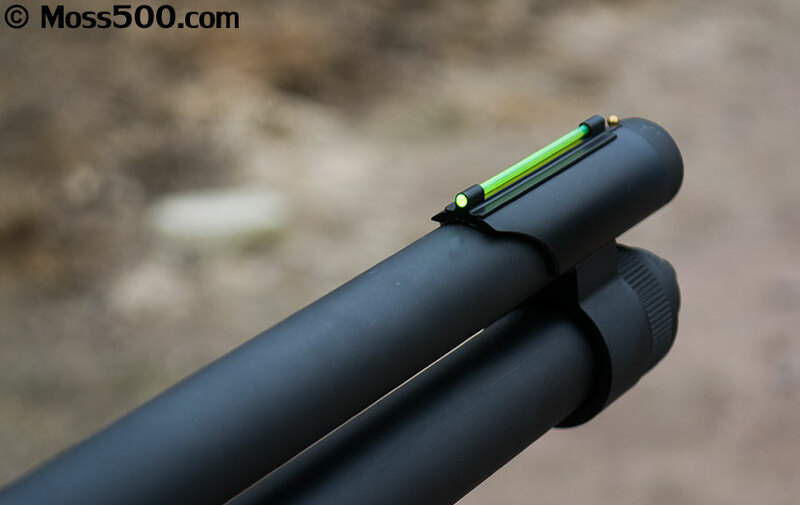 The rod is compatible with either a 20-gauge or 12-gauge version of the Mossberg 500 or 590 shotgun. You won’t even need any batteries to obtain the highly visible glow that is produced by the rod. This will save you plenty of money because you won’t have to purchase new batteries all the time. Not only that, but you don’t have to worry about your sight going dim at a time when you need it the most. The TRUGLO Glo-Dot II Shotgun Sight can be purchased for $16.99 at Brownells.com. There are two different versions of the sight available, one that provides a red sight color and another that provides a green sight color. Both fiber optic rods can be mounted onto virtually any shotgun but they go particularly well with the Mossberg 500 and 590 shotguns too. The color sight you choose will merely depend on your own personal preferences. Green sights and red sights both provide bright enough colors to where you can see them in the daylight or at night. Although, some hunters and soldiers prefer the green sight in the daytime because it helps them be more discrete in the wilderness. On the other hand, others like the red sight because it is a color the stands out more and it helps them focus more on their aiming and less on the environment around them.